PrintweekIndia is one of the preferred suppliers of mono cartons. The carton is manufactured using SBS Board or duplex board as per customer requirements. We offer mono cartons for fast-moving consumer goods, consumer good industry, printed mono cartons, laminated mono cartons etc. All these are designed, printed & manufactured as per the buyer’s specification. 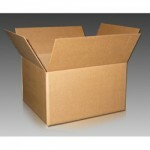 We serve industries of Consumer Goods, and Retail by meeting their packaging requirements. Packaging utilization is very high in a consumer driven market in India. Each industry has specific requirements of the cartons – while consumer good prefer bright colorful packaging, pharmaceuticals prefer austere looks with security features. We produce mono cartons boxes, window cartons boxes, food trays and similar items in plain, single, tri and multi color for clients in the food, pharma and other FMCG industries. Our printed mono cartons – suitable for packing plastic bottles, beverages, water, cosmetics, and other products – give a strong brand identity to the companies that use them. These attractive mono carton boxes can be used for a wide range of products including bakery products, nankeens, fast foods, dresses, gifts or shirts. We can provide customized sizes and specifications according to your needs. Assisted by our technical as well as designing capabilities of the company, our Mono carton box designing are high on demand among the clients. To make sure, that our client can avail the best Mono carton box, our team of experienced professionals first assesses the client’s objective, they then research, write the copy, commission the photography, and finally creates the mono carton design and print it, as per the client’s requirement.